Talking all about learning and learners with a side of tech. Some thought provoking tweets, an interesting article about the state of education from a kindergarten teacher, some technology tips and of course, Under Caffeinated Humor. My latest discovery about Google Docs, The latest iOS update and why you should update as soon as possible, I’ll talk about boredom and for the first time ever, I have a guest on the show! and of course Under Caffeinated Humor. Looking back and a looking forward at going paperless. Loads of research on how to improve your mood, and of course some changes coming to google, a brand new segment and of course Under Caffeinated Humor. Tab-o-holics like me can learn how to be more efficient with all those tabs, freshly flipped articles ranging from search tools that may search a bit better than Google, and all the greatness that comes with the latest iOS update and of course Under Caffeinated Humor. Tech on the Side S2 ep. 49 - Squad, what's Squad? Exploring using Siri shortcuts, freshly flipped articles ranging from YouTube policy changes to what’s happening and SnapChat, and as always Under Caffeinated Humor. In this episode I use a new microphone and pop filter, I discuss my favorite new Tech Tip, I will share many of the fun an interesting products from CES 2019, the origin story of Tech on the Side, and of course, Under Caffeinated Humor. Tech on the Side - Happy Hollandaise! Thanking all of my listeners, subscribers, and twitter and Facebook followers for tuning in each and every week. Also...one more Under Caffeinated Humor before 2019! Tech tips, freshly flipped articles ranging from Google Lens, to Oprah’s favorite things, and as always Under Caffeinated Humor. Tech tips, tools, freshly flipped articles ranging from an Apple Watch review , to the top apps of the year for Androids, and as always Under Caffeinated Humor. Tech tips, tools, freshly flipped articles ranging from iPhone tips, to keeping your gadgets clean, and as always Under Caffeinated Humor. Tech tips, freshly flipped articles looking at how AI is helping wildlife research to talking about the differences between 2008 and 2018, and as always Under Caffeinated Humor. Turn it all the way up to 11 folks because it’s time for my first ever CLIP show. Enjoy listening to all this seasons Tech Tips in one show, with a few quips peppered throughout the show. And look proper show titling may be making a comeback! Tech tips, freshly flipped article reviews ranging from 40,000 year old cave art to battery saving tips, and a dash of Under Caffeinated Humor. It’s NaNoWriMo and NaNoBlogMo and I’ll dive into some of the tools that I’m using this month to write each and everyday as well as explore what’s been freshly Flipped into my magazine this past week. Tech tip, tools, and more this week. The 28th episode ever and the 1st full episode of Season 2! It’s Friday, let’s all have a little chuckle. Tech Tool Thursday is all about sharing tech tools that you may find useful, because I know I do. I learned that my camera can do more than just take photos, give it a listen and learn too! Sharing some Spring break inspired songs. Ep. 10 Alexa, say what. Tech on the Side • Snapchat Update...meh • Alexa, go to work for me! • Google Updates • Google Drive and Word Docs • Apps for book readers • EdcampSTL • That's a wrap. Ep. 4 Sites in your site!? 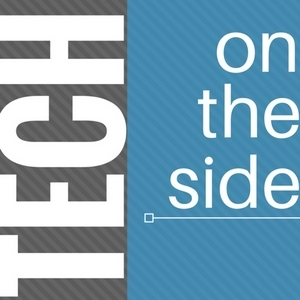 My first official full length episode of Tech on the Side. Practicing a little bit more to help refine the details about how to use Anchor.fm as your main Podcasting tool. Where will you go new content? • Annex to ep 1. Perpetually Beta Testing • Stay tuned, and stay connected. New features to Anchor! • Anchor permanence? • An official podcast? • Archived waves 🌊 • Thanks for the tip. • Is this the end of a permanent episode or just the beginning?